Now, that’s a pair of words that I have not uttered in a long time. These two words randomly came to my attention this past weekend as I watched a travel documentary on the city of Istanbul. The young woman hosting the show decided to visit a store which sold world famous designer sunglasses. She asked the owner to pick out a pair for her. After a moment’s thought the owner then handed her what he called the ‘house special’, a very successful pair of sunglasses that he had designed himself. Of course when she tried them on she looks spectacular. She asked the owner for the price. Quite understandably, he declined quoting the price while the cameras were still rolling. Our travel hostess nevertheless still decided to purchase them immediately. This made me wonder what is there about a small piece of plastic that can bring a girl so much happiness? 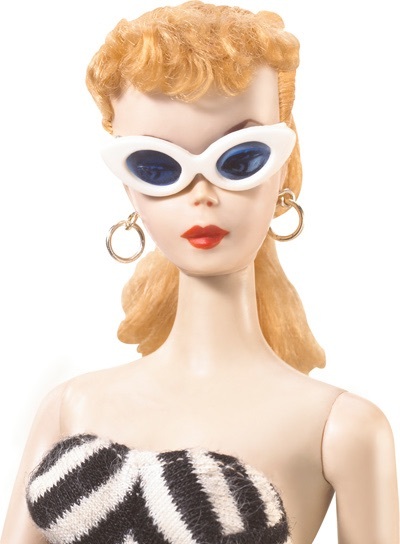 My personal experiences with Barbie sunglasses was always joy when I opened up my Barbie suitcase and was able to find the ever elusive Barbie sunglasses still among my possessions. Elusive, of course because Barbie sunglasses were so very small and easy to lose. Unfortunately, all too often we are overcome with those “bits and fragments” from the past which contain unhappy memories of one sort or another. These unpleasantries from the past do indeed affect us in the present. That is why every happy tidbit which emanates from our past must be acknowledged, celebrated and cherished.